This is a quick update as I know I’ve been absent for most of 2019. 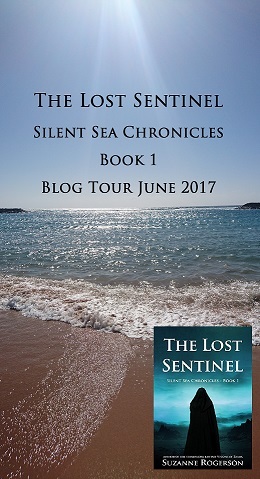 Work is going well on The Sentinel’s Alliance – Book 3 in the Silent Sea Chronicles. I feel as though I am on the home straight and I’m looking forward to passing the book to my beta readers very soon. I hope to stick to a publication date of the end of June, but I won’t rush it if it’s not ready. I’ve also been sitting on the beautiful book cover for months. I’m looking forward to sharing it with you but I made a promise to myself that I’d wait for the completed draft. Fingers crossed that’s not too long now! Next week I will be going to the London Book Fair for the first time ever. I’m going as a self published author looking to pick up tips but also a hybrid author. This is the first time I’ve really acknowledged the fact that I’m now a hybrid! My Czech publisher will be at the fair and I’m hoping to pop by and say hello. From the sounds of things I will be spending a lot of time in the Author HQ area where lots of talks sound interesting and relevant to my current situation. I’m hoping to meet the team of the Writing Magazine whose advice I have been using since my late teens. I also just want to soak up the atmosphere of a place dedicated to all things books! Plus my friend mentioned a stationery area – now that will be dangerous! Another first for me is that I finally have the chance to go to the Winchester Writer’s Festival in June. I’ve secured the three agent / publisher appointments I was hoping for and will attend a whole day workshop based on writing fantasy. I’m super excited but also nervous about the pitching as this will be a chance to move my dreams of being a hybrid author in the UK one step closer. I’m already planning my letter and first chapter, but the idea of pitching something new is terrifying after working on a trilogy for a good few years. I look forward to sharing my experiences of these festivals with you in the future. Are any of you going to either of these major UK events? Do you have any advice to make the most of the days ahead? Have you got any writing festivals to recommend?